There is no such thing as a bad day when you have a doorknob on the inside of a door. 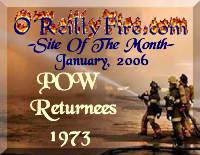 This site began as a way for me to pay tribute to those men and women who went to serve our country, but never made it back. 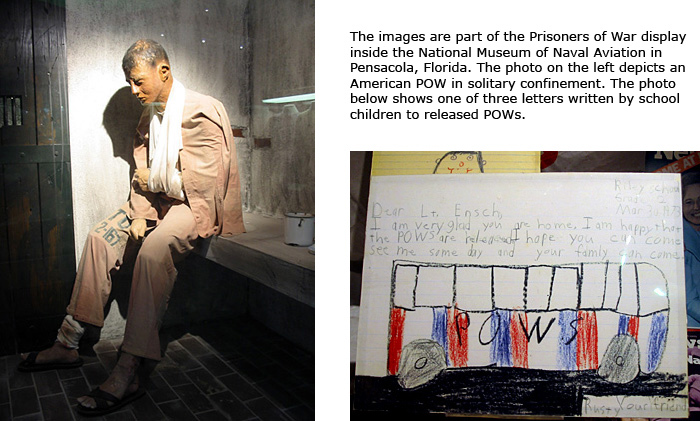 I have decided that not only should I pay tribute to our POW's, MIA's, and KIA/BNR, but that I should also honor the men and women who endured so much hardship as Prisoners of War. These men and women returned home. Some have died, most are alive. Many have moved beyond their horrific experiences, yet none will ever forget. Neither shall I. I was not there, I do not understand their pain, I don't pretend to. What I am doing is listing their names with honor, as a small tribute to the great sacrifices they made. On the following pages, you will read the names of all United States military personnel and civilians from the Vietnam War era, who at one time were Prisoners of War and either were returned in Operation Homecoming 1973 or returned or escaped prior to then. The total number I have listed is 722; I obtained this number from combining the Personnel Missing -- Southeast Asia database for Returned Alive and Escaped Captivity. The columns on each page show, in order, each person's name, rank, branch of service, date of incident, return date, and home state or territory of record. Each name is hyperlinked to its corresponding bio page on pownetwork.org, so that their stories can be read ... and I strongly encourage you to read each and every story. I want to thank you, dear returnees, from the bottom of my heart, for not only your willingness to go to Vietnam, for whatever reason, but also for facing your hardship with the determination and strongness that defines the best of Americans. May the Good Lord that saw you through your troubles continue to bless you throughout your life.